This shop has been compensated by Collective Bias, Inc. and its advertiser. All opinions are mine alone. 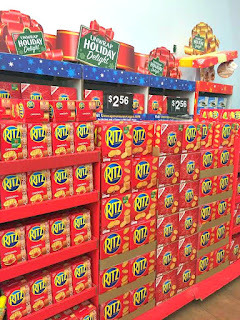 #HolidayRITZ #CollectiveBias. And always, thank you for your support! Life wouldn't be Cupcakes and Sunshine without ya! 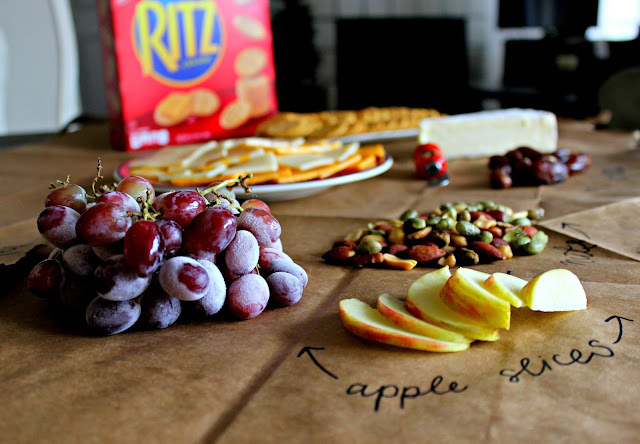 Friends, I was so excited to work with RITZ Crackers to share this easy DIY cheese spread with you just in time for all the holiday parties!! Cheese spreads are the best of all worlds- they are crunchy and smooth and sweet and salty and fruity and FANCY. Not to mention CHEESE. And no one knows that they only take about fifteen minutes to throw together. Holiday entertaining at its easiest. You only need a few items to put this together. And most items are probably already in your pantry or fridge! But if not, you can purchase the rest of the ingredients at Walmart. 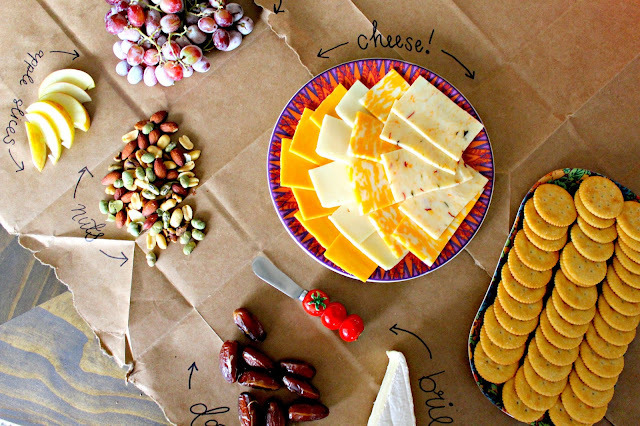 Normally, I would say grab some butcher paper to place on your table for your cheese spread, but I cut open some brown grocery bags and they worked just as well! Easy time saver. 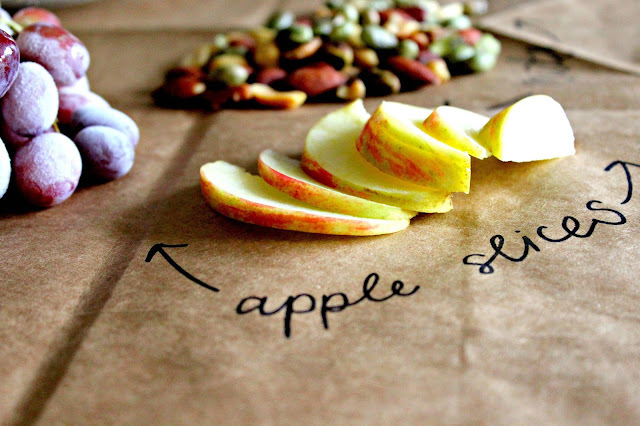 Label each item with permanent marker, or you can use a chalkboard pen if you want to get really fancy. And you are done! 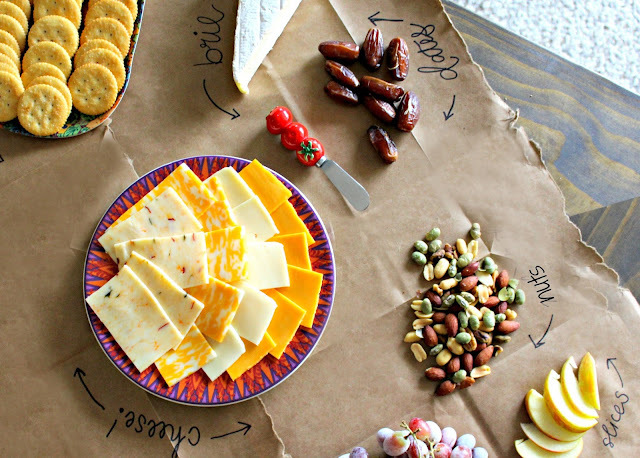 Instructions: Arrange all the above items on butcher paper, and label! Hey! Let me know some of your very favorite holiday entertaining ideas, and also let me know how you got creative with your DIY spread!